Our Lord and Savior has blessed us with 30 years of love and success since Our Little Roses was founded. 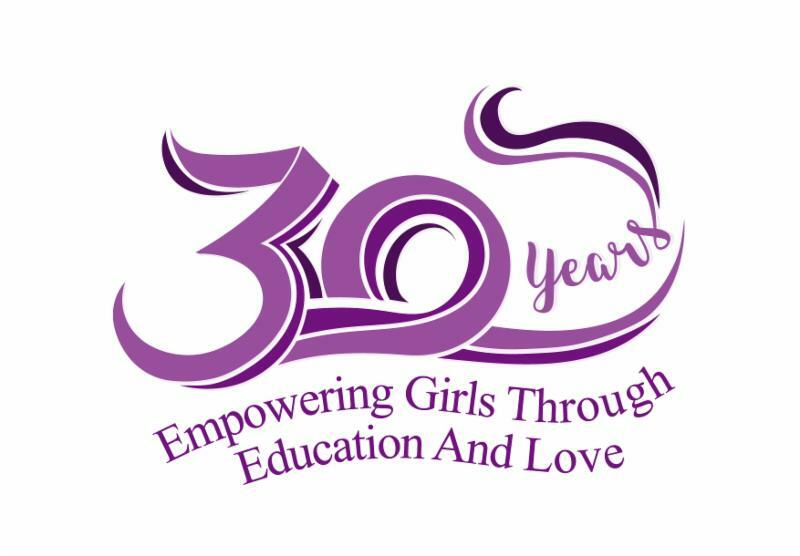 This month we are proud to unveil our new 30th anniversary logo! The celebration continuess with this newsletter and some ways we are looking to keep you connected. 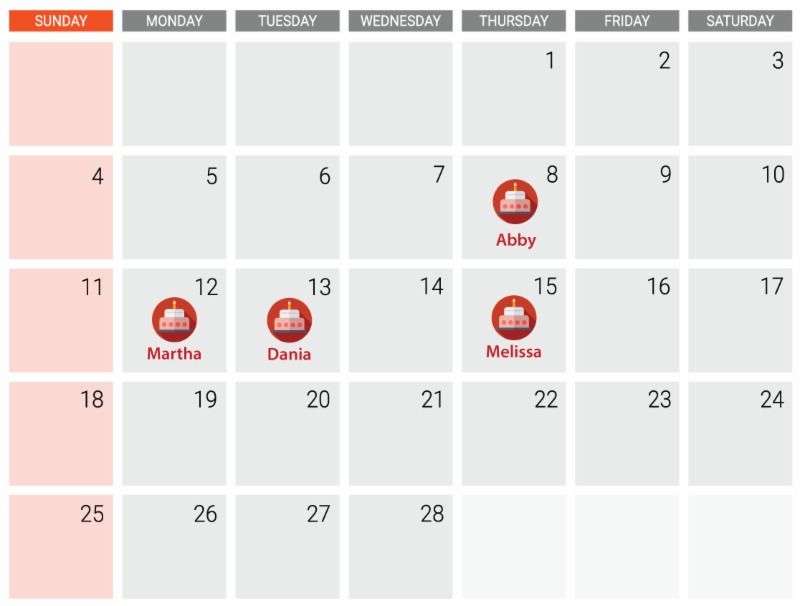 We’ve added a “download” button on every picture so it’s easy for you to keep these photos and the calendar of birthdays. 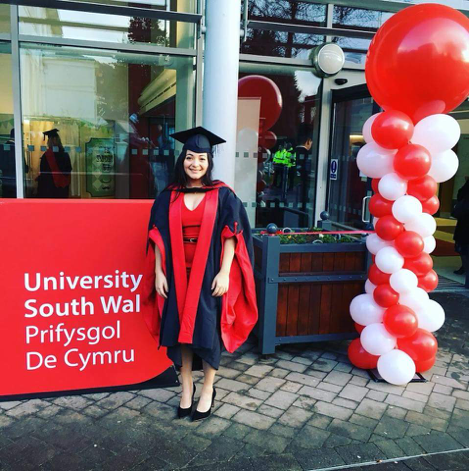 The wonderful Heather Hertz graduated last December from the University of South Waleswhere she studied for one year. She graduates with the new title of Master of Science in Engineering Management. OLRM rejoices with Heather on her success! 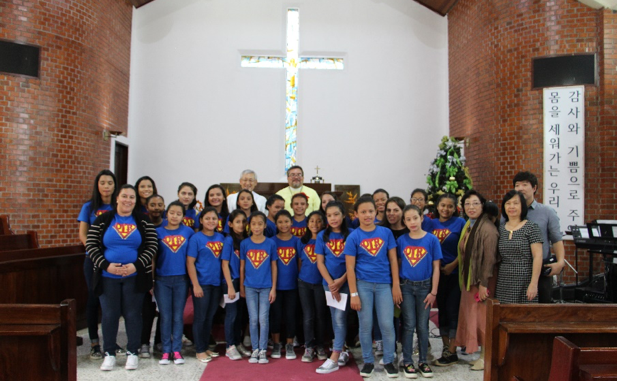 The Korean Church of San Pedro Sula, where the Korean Community meets every Sunday, invited the Choir of OLRM to sing Christmas Carols. The girls sang “Walking in the Light of God” in three languages, English, Spanish and Swahili, and also were invited to lunch. 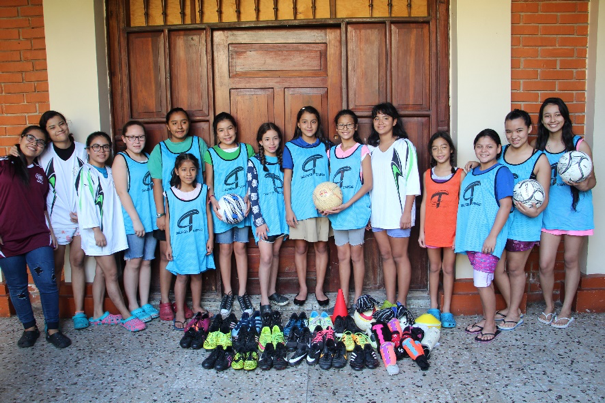 Cepudo / Food for the Poor generously donated soccer uniforms to the girls, who received this donation with enthusiasm! The girls of OLRM have a passion for soccer and train every day to improve their skills. Diana, Aylin, Ismelda, Heidi, Iris, Rocio, Kensy, Brigit, Dayana A., Nahomy, Sofia, Critzenn, Gabriela, Guadalupe and Kathy. 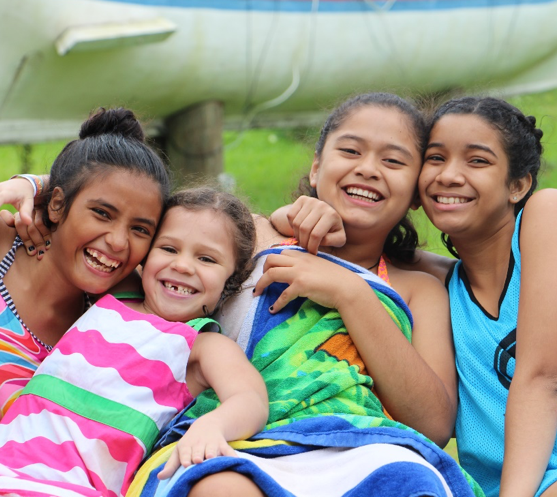 The girls of Our Little Roses were invited by a Board Member to enjoy a relaxing day at the beach where they had lunch, swam, and played in the sand. The girls had plenty of fun and were so grateful for the retreat! Melissa, Diana, Elizabeth, Yasmin, and Dayana E.
BLESSING BABY ROSA’S BIRTH AND LIFE! Born prematurely at 32 weeks at the weight of 1.65 pounds, Baby Rosa was abandoned at the public hospital by her mother. Baby Rosa needs a lot of special care and the Juvenile Court of Honduras knows that OLRM can provide this care for her to grow to be a successful woman one day. Baby Rosa is loved by everybody at the home. Welcome to the Our Little Roses family, Baby Rosa!! 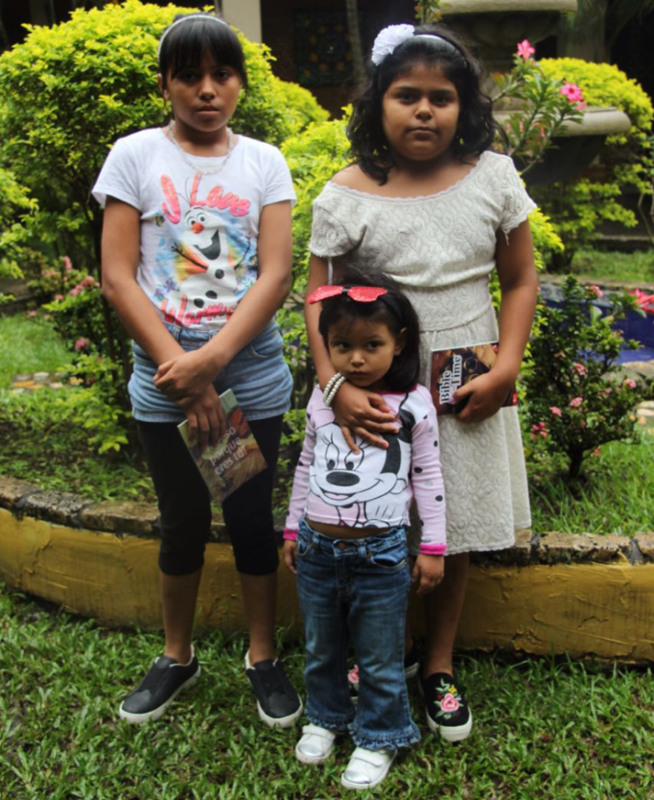 Three sisters were rescued from the streets in Puerto Cortes by the Honduran juvenile justice system. They were sent to Our Little Roses where the girls welcomed them into the family with open arms. Our new arrivals are adapting well to their new home, and we are lucky to have them! 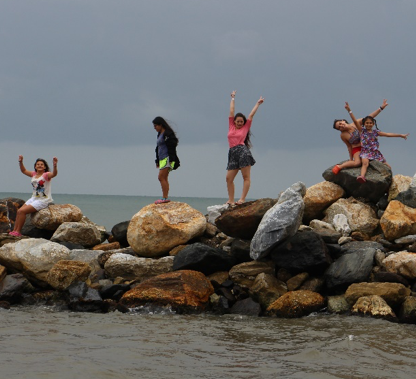 A warm welcome to Angie, Gissel, and Ana Maria! Please reply to this email to let us know your thoughts on our newsletter, or with any ideas on how to keep you connected, or of any events you might be having in your area, or even just to say hi!